There are so many different insurance options available to you and it can start to get overwhelming. From whole life to mortgage protection, the list can go on! Even though there are many options available to you, there are three major insurance policies you need. 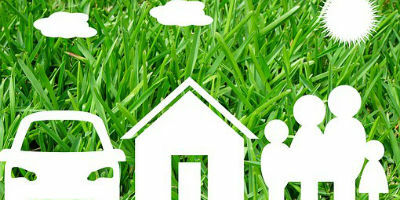 Read more to find out which three types of insurance all adults should have! Fact or myth? Let's be honest, there's a lot of false information out there regarding credit cards and how they should be used. Should you close cards you haven't used in a while? Should you only use them for emergency purposes? It's time to debunk all these credit card myths that you may have heard about before! Are you scrambling for quicker ways to make eggs? You can now make the perfect poached egg for your eggs benny in less than a minute. Check out these egg hacks that will have you saying, "this is egg-sactly what I was looking for!" How many times a day would you say you check your phone? The average person checks their cell phone around 110 times a day and are on their device for 3 hours and 8 minutes daily. These stats are proving that cell phone addiction in America is becoming more and more of a problem. Peacocks Chase Thief Down Street! These birds put a whole other meaning to, "birds of a feather flock together." After a man tries to steal a peacock from someone's front lawn, the peacock's featherly friends chase after the criminal.